The bottom line is that everyone cares about the environment. Given the choice about whether to choose a product that’s good for the environment or not so good for the environment most people have a few criteria that must be met and then they will naturally choose the environmentally sound alternative. Typically, those few criteria are cost, aesthetics and practicality or product performance. Metal roofing is the most cost effective when considering the service life of a roof whether replacing an existing roof or putting on a new one. The practicality of metal roofing is self-explanatory when one considers the years of maintenance free service a metal roof provides. Technological advances in the machinery used to form metal roofing and the extensive array of exterior paints and finishes now available offer a wide variety of textures and profiles even to the point of offering slate look-alike materials—a roofing material that few can afford these days but in the days of inexpensive labor and bountiful resources was once common. Metal has a natural ability to sustain itself against Mother Nature’s elements whereas other building materials can be affected by these elements to the point of destruction. 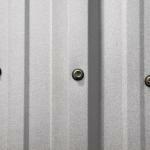 Metal is durable through hot/cold temperatures, wet/dry weather cycles, high UV rays, windstorms, hail, ice and snow. The composition of metal has recycled elements on the raw material and post-consumer ends. Metal, however, has a much larger effect on the environment, on many levels, giving it a stronger position in sustainable building and living cultures. 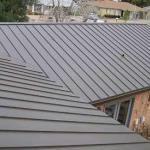 Metal roofing is lightweight, allowing it, in many cases, to be installed over existing roofs. This minimizes the need to tear off and dispose of existing materials, which can have monetary and ecological savings. Installing metal roofing over existing shingles provides an extra layer of insulation and acts as an additional sound barrier. The life span of metal roofing is 50 + years, reducing the need to replace it. 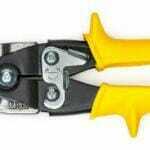 If it does need to be replaced, the tear-off material can be recycled. Most metal roofs have recycled content ranging from 25% to 95%. Conventional roof shingles have a much shorter life-cycle and use oil-based products as their primary raw material. All of the metal roofing products distributed by Absolute Steel are 100% recyclable. 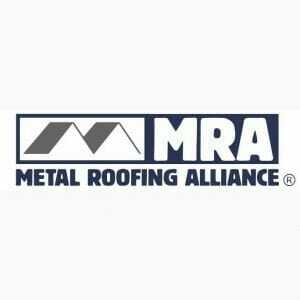 Metal roofing weighs a fraction of other roofing products such as asphalt shingle, slate and concrete tile. The less weight on the roof plane, the less structural support is required in the building; thus less lumber or other materials is required to support it. The average weight for asphalt is a minimum of 2 lbs per square foot, slate is 6 lbs per square foot, and concrete tile is 9 lbs per square foot. Absolute Steel products vary from 3/4 to 1.5 lbs per square foot. 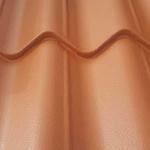 Metal roofing does not support mildew or algae, and is not produced with petroleum by-products. It does not contribute to the contamination of rainwater; therefore it is one less concern for well and cistern users. Metal Roofing is a hydrokinetic material which allows water and snow loads to shed from the roof plane. It is also a hydrostatic material, a water barrier, which protects a roof system from growing fungus created by moisture. This fungus has a tendency to live on other roofing materials. Black algae streaks, commonly seen on roofs in the country, absorb the sun’s energy and increases the temperature in a home’s attic. This results in increased energy costs to cool a home and premature deterioration of the roofing material. Metal reflects up to 70% of the sun’s energy, thus minimizing heat retention. This results in less heat being transferred into the building’s structure. Metal roofing can sustain up to 34% less heat gain than asphalt shingles. A reflective roof, such as metal, reduces the “Heat Island Effect” which is a phenomenon in which cities can be two to eight degrees warmer than the surrounding countryside. This effect can cook the smog that it indirectly creates, seriously damaging the atmosphere in and around urban areas.